H&L 2019 will be held March 10-13, 2019. Everyone seemed to like the biennial format, but the May timeframe conflicted with other conferences. Hotel rates in Phoenix during March are incredibly pricey due to MLB Spring Training. Tucson is delightful during March and just as easy to get to. 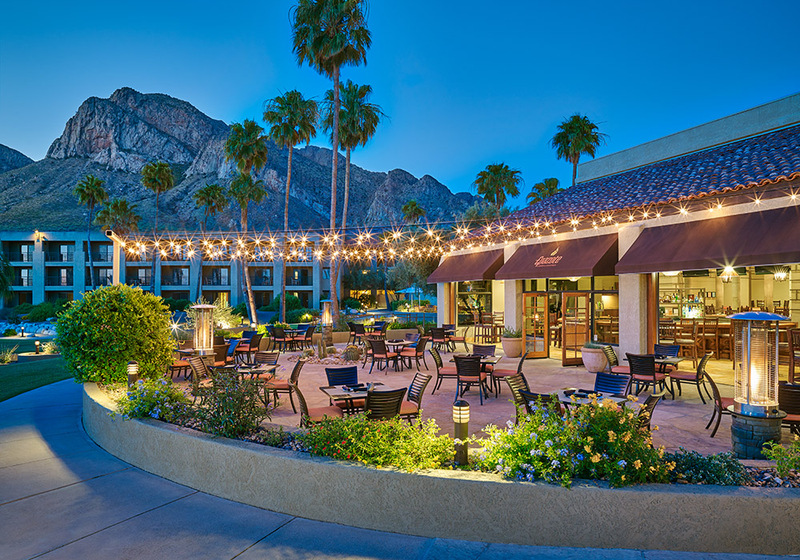 Mining Media International has reserved rooms at a special rate of $169. When you think of the Southwest, windswept mountains, wildflowers, fiery-red sunsets and a deep-rooted desert culture spring to mind and nowhere is this soul-stirring tableau captured more spectacularly than at the El Conquistador Tucson. Let us surprise you with the pristine beauty of the Sonoran Desert, introduce you to indigenous cultures, and inspire you with authentic flavors, experiences and unforgettable moments. 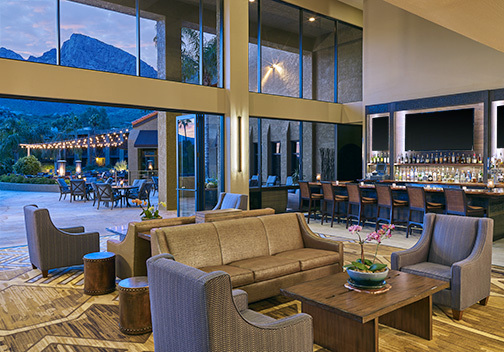 A true desert oasis, El Conquistador Tucson invites you to escape and experience the colors, textures, and singular details of our uniquely Southwest resort. 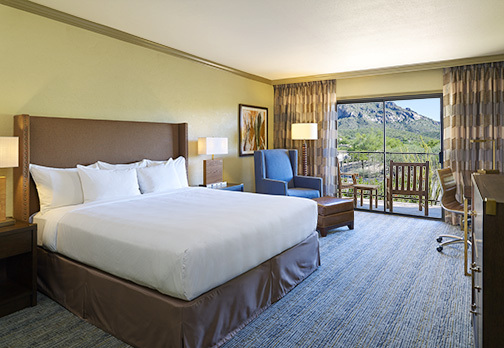 Our 428 guest rooms and suites feature spectacular views of the mountains, pool, city or desert. All of our rooms offer the signature Hilton Serenity™ Bed Collection and Peter Thomas Roth™ bath amenities. 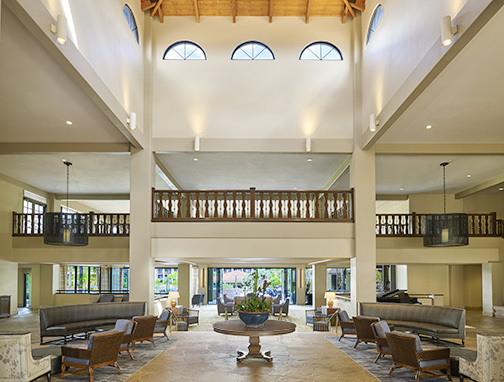 Whether you are traveling on business or pleasure, our spacious accommodations are designed with your comfort and convenience in mind. Stay connected with the office or prepare for presentations at Hilton Tucson El Conquistador’s Business Center furnished with computers, printers, photocopiers and high-speed wireless internet access. Additional services include faxing, courier and secretarial assistance. Horseback ride along some of Tucson’s most sought-after trails with El Conquistador Western Adventures. Whether you’re novice or expert, we guarantee you’ll enjoy hitting the trail in our sublime Southwestern setting. Riding lessons are also available. From the Oro Valley Trails to the Linda Vista Trails, there are miles of paths taking you through our beautiful high-desert landscape. Don’t miss the nearby self-guided hiking trails that enter the adjacent Catalina State Park, a true nature lover’s paradise. Work on your backhand on one of our 31 floodlit tennis courts, which are well‑suited for both beginners and advanced players. Our professionally‑trained staff is available for clinics, tournaments, and lessons. Rental racquets also available. Outfitted with the latest generation of cardio and strength training equipment, our facilities are open 24 hours to help you feel your best during your stay. Try a relaxing massage or body treatments at the spa. Guests must be at least 18 years of age to use the facilities.